It's all fab! Performing since 2009 - our mission is to recreate the fun, spirit, energy, and carefree memories synonymous with Beatlemania in the 1960's. 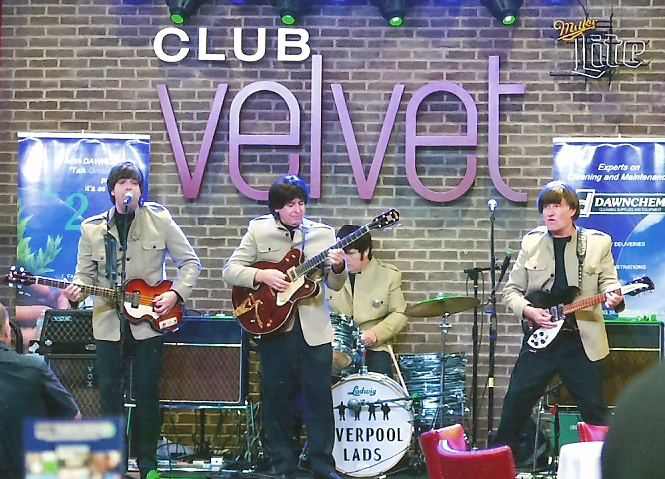 We strive to recreate those great memories, both musically and visually, with replicas of the same vintage instruments, amplifiers, and wardrobes used by the Beatles, Important to us are accurate and energetic live recreations of their inspiring music. Just as The Beatles did - our performances are all live without backing tracks or overdubbing. We perform Beatles music mainly from 1962 - 1966 with a helping of later material included for good measure! You can expect the hits, but we also perform B sides and album cuts in our shows as well. 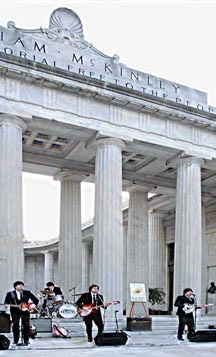 We have had the honor to perform at different venues and functions since 2009. We're willing to travel up to 3000 miles outside of the Cleveland, OH area. In December 2010 we were voted the 8th most popular band in northern Ohio out of 300 on the local television station Fox 8 Hot List for bands. 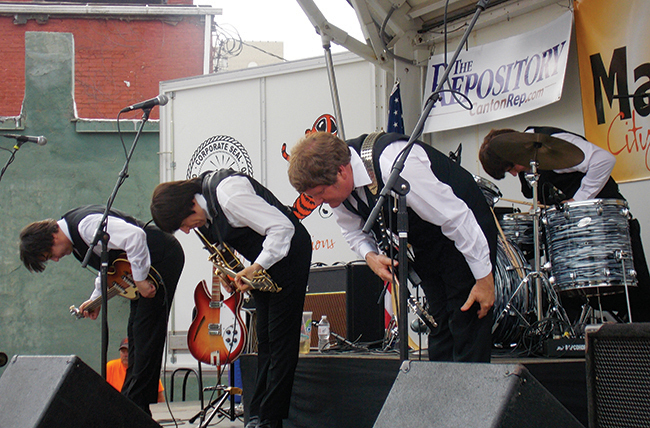 We’re proud to say that’s the highest finish for any Cleveland area Beatles tribute band! As you peruse our site, you’ll find out why we’re becoming the favorite Beatles tribute band in northern Ohio. Give us ring won’t you? We won’t let you down! Check out some radio commercials for the Fox 10th Anniversary featuring the Lads. www.HaloLive.us for tickets & info. Doors open at 7 PM. 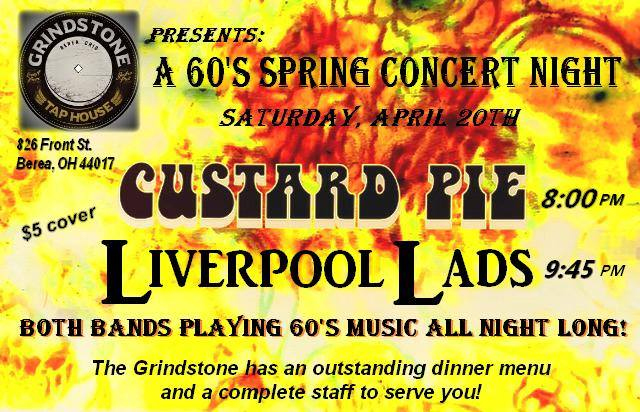 With special guests Custard Pie! British Invasion fundraiser for the City of Elyria Police, Parks & Roads election issue. Tickets are $25. Doors open at 6 PM. 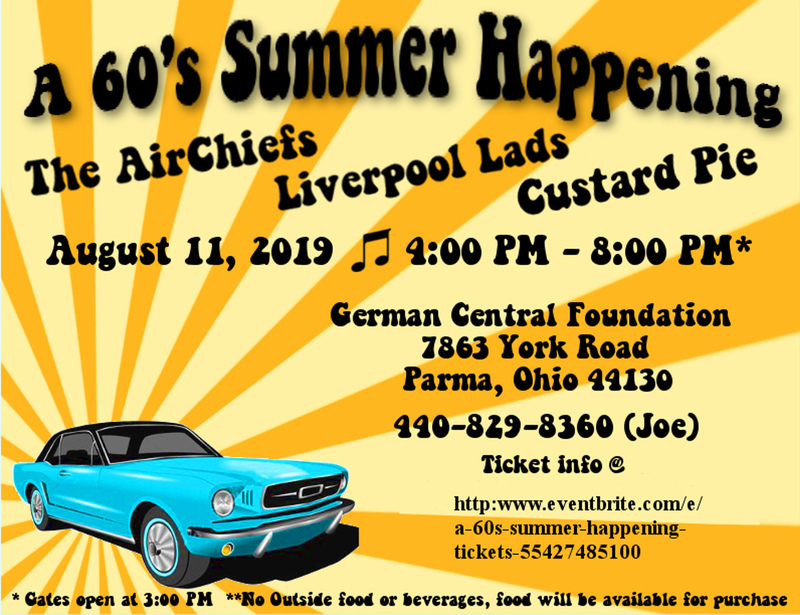 Contact Mark Jessie at (440) 610-2991 for tickets. 23333 Aurora Rd. Bedford Hts. A special dinner and drink menu in honor of Valentine's Day! (440) 232-0029 for reservations. Performance as part of Kent Beatlefest. Free Admission, 21 & over. Elvis and The Beatles Show with the Todd Berry band! Join us for a memorable night of Elvis & Beatles music. Tickets are $25 each, couples for $40 and children 12 & under are $8. 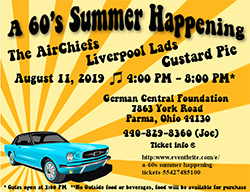 Click HERE to purchase tickets or call (614) 763-5900. Tickets are $20 in advance, $15 for seniors 62 & older, $10 for ages 6 - 11. All tickets are $25 day of show.